View basket “Gora Fire Nunchakus” has been added to your basket. 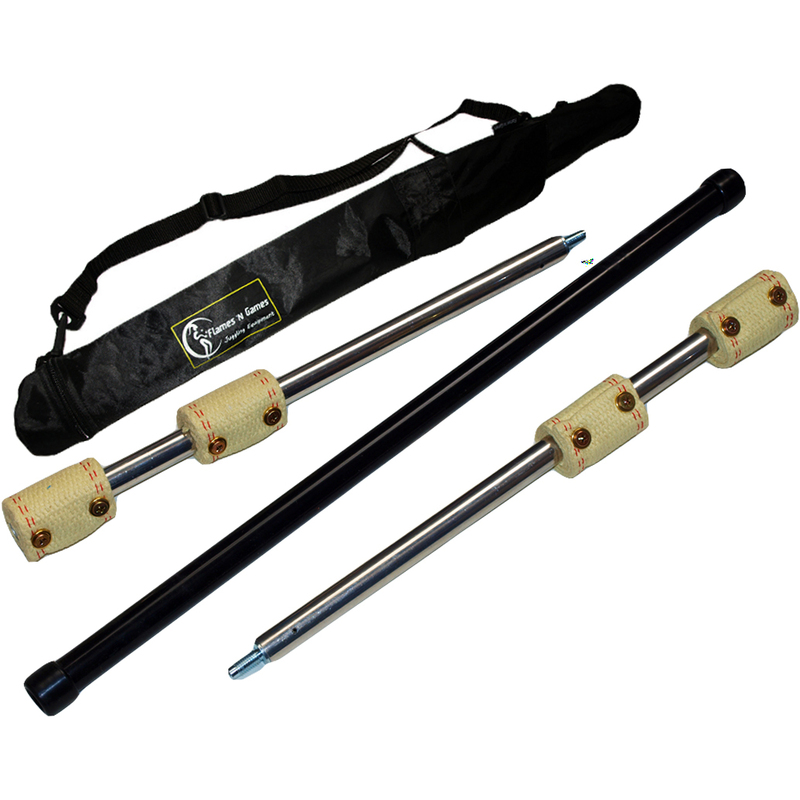 Collapsible 3-piece screw apart fire staff 120cm or 140cm long, fitted with 65 or 100mm wicks and supplied with a staff travel bag! 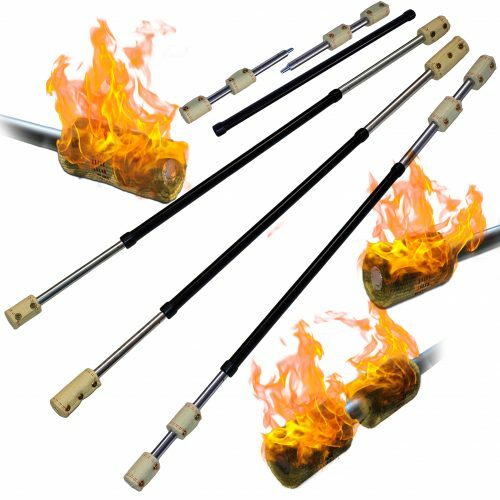 The “Cougar” 3-piece Travel Fire Staff range is one of the best break-down fire staff selection you will ever come across! 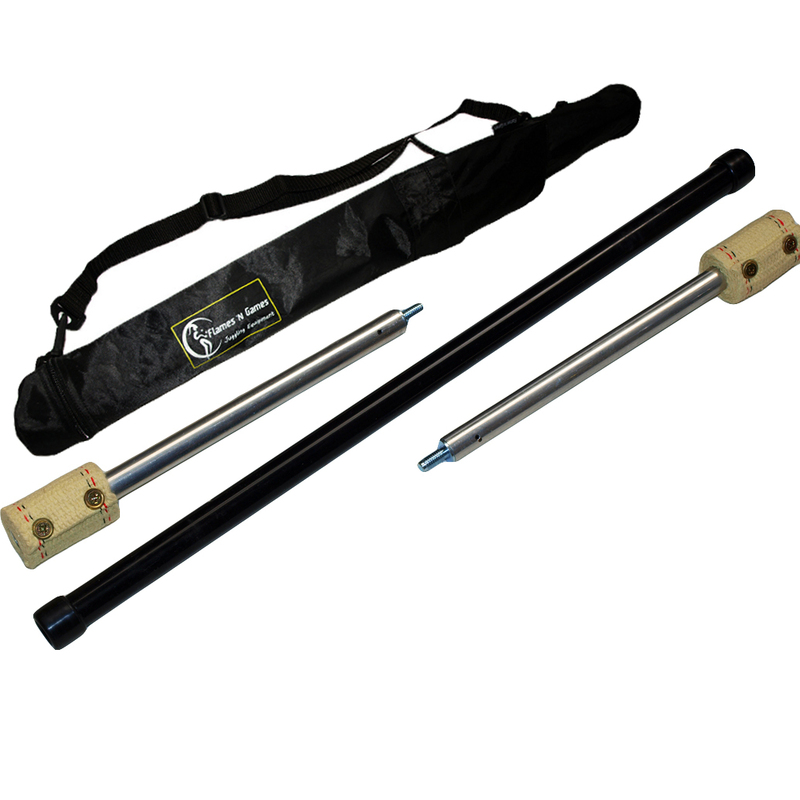 This precision engineered fire staff has been designed for those on the move that want a strong and solid feeling fire staff that can easily break down making it easy to travel around with. The 60cm Silicone hand grip give the staff a great finish and is also good for contact moves. The Staff has a quick fuel reservoir system that increases the flame size and most importantly the burn time! Supplied with either single 65mm wicks, double 65mm or 100mm fire wicks. The extensions on all Cougar fire staffs are interchangeable. 100 mm extensions are interchangeable with double headed 65 mm wick extensions. 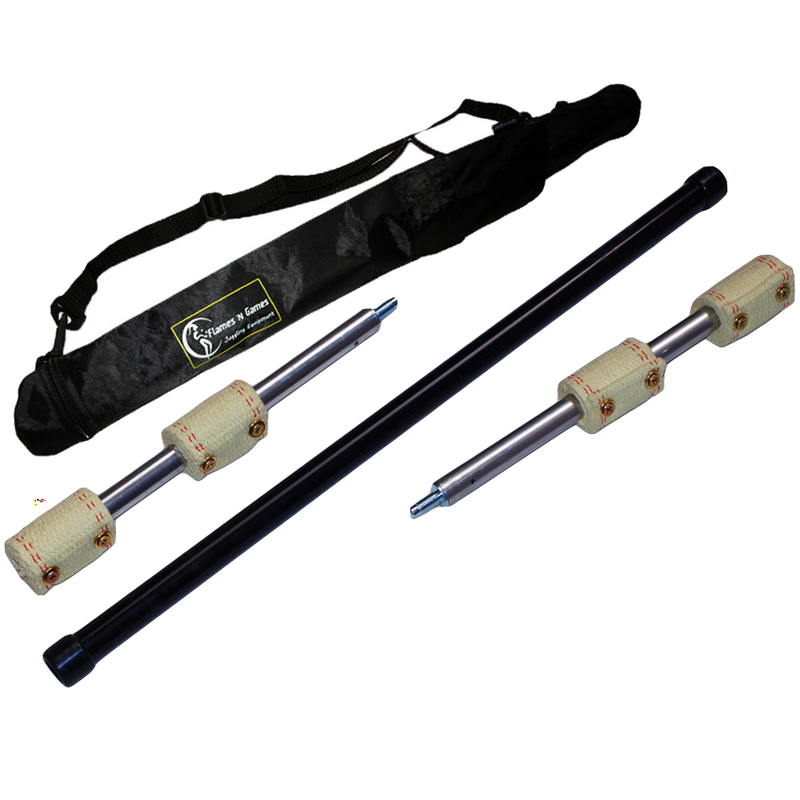 Supplied in a free nylon carrying bag.